Here’s a neat presentation web app that might come close to solving a real problem. When you receive someone’s presentation via your email it can be a real bore. That’s if their presentation is huge and outstrips your email bandwidth limit. And it’s also a bore if they send you a PowerPoint presentation and you don’t have PowerPoint on your device. That’s really tedious. And, of course, it’s even more of an irritant if someone sends you several presentations. And they are all in the same email. Where should you start? That’s the perspective of someone receiving a presentation. And what about the sender, you might ask? Well, it doesn’t come much worse than the experience of sending a presentation via email. Because you have no real idea whether your presentation is actually opened. Nor do you know whether someone actually watches your presentation. So with these presentation problems in mind it’s good to take a quick look at a new presentation web app from PointDrive. 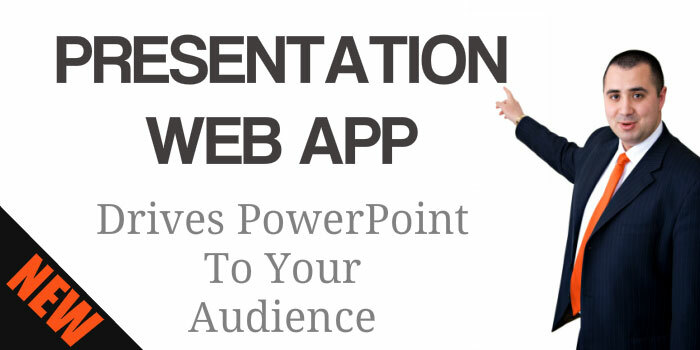 The PointDrive application lets you send your presentations to their recipients with an email link. That might sound pretty simplistic, but there’s a bit more to it. Your audience receives a personalised message from you. That message contains your presentation link. All your intended recipient needs to do is click that link from their email programme and watch. Using any browser or mobile device your contact can watch your presentation or presentations independent of PowerPoint or any other presentation software. But that’s not all. As the presentation owner you can brand the whole viewing experience. You can add a narrative to the online presentation (s) and you can add extra video, web links, other pictures and maps. The PointDrive application gives you the fully-automated means to track who’s watching your presentation and their interaction over time with it. Powerful stuff indeed. Making the whole user experience that much more fun is the full integration with LinkedIn, allowing you to communicate your presentations through your LinkedIn network. Clever. We had one or two issues with the application once we’d received a message about a presentation. On opening the link we needed to use the full screen display (F11) for a good viewing of the presentation. We also found the slide advancer a bit limited. This could be improved. But with these points aside the whole application appeared to suit both the sender of a presentation and its recipient. Very good. PointDrive is currently free to use. The suggestion is that there will be a premium subscription version available in due course with a more limited version available for no fee. It’s an ideal application for anyone working in sales and marketing. And it could be invaluable for a business owner wanting to promote their business with presentations. It’s worth a try. You can expect a heap of updates with the PointDrive app. A new announcement features the PointDrive for Teams service. Integrated with salesforce.com it supports presentation sharing among team members and commenting on individual presentations. As an extra it also provides managers with important insights about the presentations and their use. So, it’s certainly worth looking into. PointDrive is now entirely owned by LinkedIn and the service is available to LinkedIn users with the Sales Navigator Team and Enterprise subscriptions. It’s still easy to use. But you you need to access LinkedIn. Also, don’t forget that you can uncover more presentation pointers when you participate in a presentation training course organised by Time to Market. You can choose from a public course, a half-day skills refresher or perhaps a corporate presentation training event for your whole team. Please don’t hesitate to call and ask us for more details.